Many English speakers are surprised and confused to discover that, unlike how they are portrayed in Hollywood films, most people in foreign countries do not simply speak English with foreign accents. Although the language of Shakespeare (or some version of it) is gaining popularity in parts of Belgium, this is still not the case in culturally-developed, civilized countries, such as France, Russia, China, Spain and the United Arab Emirates, where there is a national language sufficiently rich to fulfill all daily activities. In foreign countries that have cultures and traditions to speak of, you will find that the majority of people do not understand a word of our great language, no matter how loudly we speak it. This is the cause of much anger and frustration, leading to regrettable international incidents and even wars. In many parts of the world it can also be needlessly expensive, as auto rickshaw drivers never understand the English word "meter" and only know how to say very large multiples of 100. But there is a simple solution to this problem: learn a language with no culture, history or speakers, then get everyone else to speak it. Because of the lack of other speakers of Esperanto, you will have to get pretty creative to begin learning it. A good step is to go to the library and check out two books: Doctor Esperanto's International Tongue and Dua Libro de l' Lingvo Internacia, the latter of which means "Second Book of the International Language". Both were written by L. L. Zamenhof, a Roma obstetrician or something like that who dreamed of a world when all cultures, languages and religions of the world would be erased through Esperanto. His name is pronounced "Low, Low Zom'n hoff", making sure to exaggeratedly draw out the W at the end of "Low" as much as possible. They are pretty much impossible to understand without memorizing their meanings. The correlatives ending in -ian relate to time, but -n is also the accusative ending. Hence "ian" could either mean "at some time" or just be "some kind of" in the accusative. There are a number of solutions to these problems, all of which involve attempting to personally improve the language. Because the language will not have any speakers until you convince the world to learn it, your improvements are both welcome and needed. It is probable that these correlatives are what have stopped anyone from ever learning the language. If they worked, there would be a large, organized community of speakers with three or more independent associations having various subdivisions. And it goes without saying that any constructed language with more natural words for these things would become much more successful than Esperanto ever has. Write articles about your topics of interest for the Esperanto Wikipedia. This website is maintained by a handful of obsessed fanatics who don't even know about the improvements you have made to the language, so don't bother to ask them for help. Just pick a topic and start writing on it. If you don't know how to say something in Esperanto, take an English word, convert it to Esperanto orthography and add the appropriate grammatical ending. Hence if you want to write an article about Genderqueer Rights, call it "Ĝenderkŭiraj Ritoj", or even better, "Djenderkwira Ritos", because the letters with little hats on them are a hindrance to the language in this modern age of computers where it is impossible to type them, "j" is a stupid ending for the plural and there is really no need for noun-adjective number agreement. If there were, English would certainly have it. Write a book of poetry entirely in Esperanto and publish it on CreateSpace or Lulu. To do this you will have to answer a number of questions, such as "how does one write modern poetry in Esperanto?" There was some good poetry in your learning materials, but it was written over a hundred years ago when no one knew what postmodernism was. Nowadays there are no Esperanto poets, so you will almost have to come up with an entirely new culture, which people will really appreciate once you get them all to learn it. Translate sentences on Tatoeba. The first person who reads this guide will probably have to get them to add Esperanto to their list of languages, but chances are you are not that first person, so when you get there, it will probably already be in the list. Find a random sentence and just translate away. Don't worry about grammatical mistakes; although they are unfortunate, there is no other way to learn Esperanto, because no one speaks it. Under no circumstances should you attempt to find the Esperanto community, because there isn't one; it's a language that no one speaks with no culture, literature or history. Esperanto is a language that has never lived, but with your help, it might be born and grow into a happy young language around the world. Lie about the number of speakers. Instead of saying "I don't know" or "that's not important", say there are ten million people who speak Esperanto. Of course you really know there are not any, as you have not yet become fluent in the language, but no one will ever come over to your side unless you use hyperbole. Talk about how it will end all war and bring peace, justice and harmony to the entire universe. This cannot possibly fail to recruit new speakers, as it is both believable and desired by all. Call your lawmakers every day and try to convince them to make Esperanto the official language of your country, state/province or city. The lack of official status has been what has held everyone in the world back from learning Esperanto. Everyone knows that when things are made official by the government, people immediately accept them and never react with rebellion, hostility or negativity. If, for example, tomorrow Barack Obama got on TV and told every American they needed to learn Esperanto, every American would undoubtedly get right on that, and the rest of the world would follow suit instead of considering Esperanto a tool of American imperialism. This is why it is very important for you to ensure that something like this happens in your country. If you call to discuss the issue with your lawmakers but they don't budge, hang up and call them later in the day. If they still do not think it is a good idea, repeat until they begin screening your calls. At this point you should head to their offices and convince them in person. Do not waver in your insistence that they officialize Esperanto. If you end up going to jail, you have become an Esperanto martyr, and people will sing your praises when they speak it everywhere in the world. If any of these tactics prove not to work, at least you tried them. You are, after all, the only person who has ever spoken this language, so you had to go by trial and error to find the right way of recruiting. There has unfortunately never been anyone else whose experience you could learn from. I'm learning it ironically. This is almost impossible to argue with, but be aware that certain people might think you are being ironic when you say you are learning it ironically, causing your irony stack to overflow. Define useful. If you know what these other people are into, asking them to define the word "useful" and listening carefully to their response will allow you to go into attack mode by pointing out all the silly things they like, such as video games, anime, sports, elections or Uncyclopedia. Esperanto? I'm not learning Esperanto. What is that? When you are very tired of people always making fun of you for speaking Esperanto, you can simply stop telling anyone that you speak it. This is the surest way to defend your position. Never talk about the advantages of Esperanto or promote its current practical applications, because as far as you and I are aware, those things don't even exist. 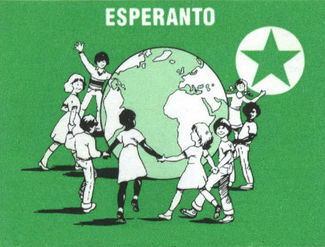 The only purpose of Esperanto is to become official worldwide and bring about an era of world peace, and we all know that it is currently failing miserably at that. If you followed all the previous steps exactly as instructed, you have undoubtedly seen a community of Esperanto speakers grow up around your efforts, showing the first signs of culture and history by calling you strange things you don't understand like "bonantagulo," "fuŝulo" and "senvalora reformemulo." This is when it might be time to leave the community, as your students have become even more advanced than their instructor. When you leave, do not bow out gracefully under any circumstances. Instead write a very long, scathing article, beginning with your personal assessment of your own importance to the language and community, continuing with the things that led you to believe it is an evil cult and ending with your conclusion that it will never work and should never work. Then plaster it all over the Internet. Attack Esperanto with the same rabid fervor that you previously devoted to supporting it. Devote all your energy and free time to proving that it is a silly, useless thing nobody cares about, especially not you. This is the only way you will ever make up for all the time you wasted on such an unimportant matter. This page was last edited on 20 October 2015, at 14:04.